RUBBER B is an American company. The first company to design and manufacture vulcanized rubber straps which are constructed to precisely fit and compliment the quality and beauty of many Rolex watch models, including Rolex deployant clasps. Driven by a profound passion for luxury innovation, Rubber B has succeeded in engineering a precise design which harmonizes with every esthetic boundary of an intended watch's design. 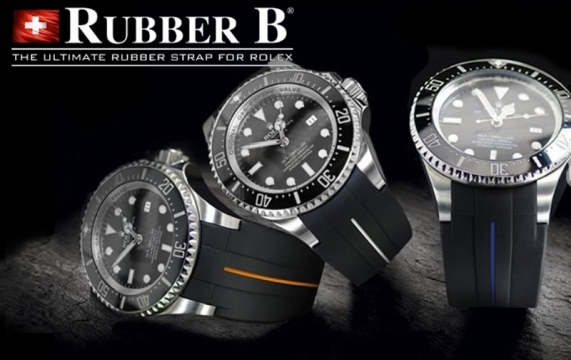 This allows owners to have the flexibility and comfort of a rubber strap, without compromising the classic, distinctive beauty that their watch and clasp represent. 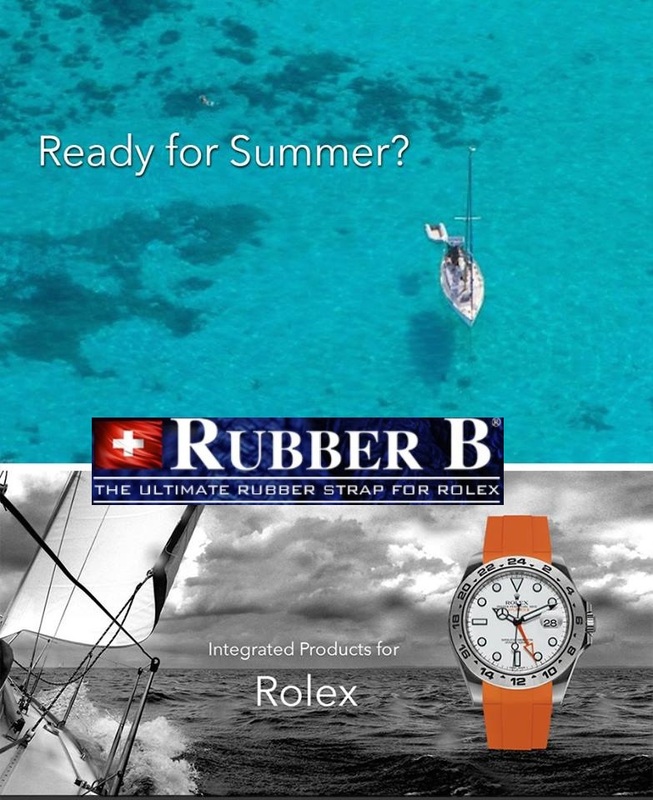 RUBBER B products open the door for athletes, divers, outdoor enthusiasts, and individual luxury watch owners such as Rolex, who are looking for a unique, comfortable alternative to their metal bracelets, leather bands and Nato straps. Για οποιαδήποτε πληροφορία σχετικά με το προιόν μας, παρακαλούμε συμπληρώστε την παρακάτω φόρμα με το ερώτημά σας. Πεδία με την ένδειξη ( * ) δηλώνουν υποχρεωτική καταχώρηση.